Water damage disasters may occur in the commercial district of the City of Plano, Texas. When it does, our company, Plano Water Damage, is the only trusted name to fully restore offices, businesses, and commercial spaces to their pre-loss condition and save them from further deterioration brought on by water damage. The biggest concern in commercial flood damage is the possible occurrence of health risks associated with flood waters which, when left untreated, will pose health threats to employees of the company. Flood waters, especially those that are sourced from natural calamities and explosion of sewage pipes, carry millions of bacteria and other microscopic organisms that may infuse numerous health threats. Plano Water Damage has been established and regarded as the Number #1 choice of Plano business and commercial space owners for their water damage restoration and sanitation needs. Not only do we ensure high quality office and commercial furnishing restoration services, but we also ensure a safe, sound, and healthful working environment for our business clients and their employees. As a business owner, you’d only want to entrust your employees and workers’ well being with a company that has been in the industry for several years, which also gained the recognition from numerous business organizations for high quality water damage all-around services. That’s us, the team of experts behind Plano Water Damage. We specialize in the reversal and treatment of Commercial Flood Damage and regular professional deep cleaning services. Our Commercial Flood Damage begins with the free inspection of the water damaged business facility, free estimate of restoration costs, and the free documentation for direct insurance billing. Our professional staff technicians mitigate flood waters by using powerful water extraction equipment, facilitate thorough drying and dehumidifying process using air movers, dehumidifiers, and fast dry machines, physical removal of wet carpets and area rugs, disposal of damaged carpet padding, application of environment friendly microbial and antibacterial solutions to stop bacterial growth, thorough removal and sanitation of molds and mildews brought on by flood waters, and the use of equipment monitoring system in the entire commercial area to facilitate thorough sanitation. Plano Water Damage also provides Plano, Texas business owners with professional deep cleaning services for improving the overall look of their offices and commercial spaces. Regular cleaning may maintain the look of your entire office furnishings but a thorough professional deep cleaning breathes in new life to your dull furniture, carpets, area rugs, other office furnishings. We also directly bill your insurance company for the Commercial Flood Damage restoration and sanitation procedure so you can just sit back, relax, and watch your water damaged business facility transform to its pre-loss state. The earlier you contact our Plano, Texas 24/7 office, the earlier you can get your business back on track. 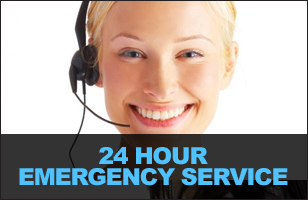 Get in touch with one of our customer service specialists for inquiries about our services, the free assessment and inspection, as well as for the dispatch of our emergency response team.